If you are also looking for solutions to use Spotify with Serato DJ, this page is where you should stop your searching. We have collected several effective solutions to help you import Spotify music to Serato DJ to enable you enjoy Spotify songs at your will. There are currently quite a great number of DJ software options, while Serato DJ is one of the most renowned DJ software brands in existence. Serato DJ is free music mixing program using high-end controllers. 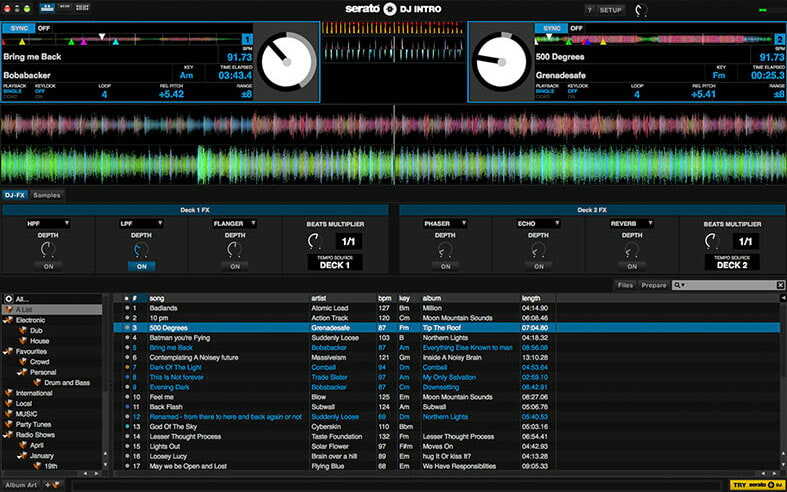 At the moment, Serato DJ has multiple editions, including Serato DJ, Serato DJ Lite, and Serato DJ Pro. Currently, Serato DJ only works with a Pioneer DDJ-SX controller, a genuinely professional controller. Even if you do not own a controller, you can also use Serato DJ with a keyboard and mouse. Serato DJ is an amazing program that includes everything necessary to mix and record music like a pro. Serato DJ has four mixing decks, a cue system with 8 cue points, a thorough loop system, superfast Auto BPM, a samples player and effects of impressive quality. The sound spectrum display for songs is really noteworthy, since they make mixing much easier, as is its full integration with Scratch Live, ITCH, DJ Intro, iTunes and whitelabel.net, so importing music is a piece of cake. For the integration, some streaming music services like SoundCloud, Tidal have partnership with Serato DJ and other makers. As for Spotify, the most and widely anticipated to come in DJ lands, it is not available on Serato DJ software so far. Therefore, if you want to use Spotify with Serato DJ, you have to turn to 3rd-party solutions. It should be noted that Serato DJ software only accepts audio files in .MP3., .OGG., .ALAC (Mac & Windows 10 only), .FLAC., .AIF., .WAV., .WL.MP3., and .MP4 audio file formats. Therefore, if you choose to download Spotify songs for Serato DJ, make sure the Spotify song downloader supports any of the abovementioned audio file formats. Leawo Prof. DRM is the best 3rd-party Spotify song downloader that could enable you to download Spotify songs for Serato DJ. As a professional DRM removal, Leawo Prof. DRM could remove DRM protection upon Spotify songs and help you download and convert Spotify music to MP3, AAC, M4A, M4B, WAV, FLAC files. After downloading Spotify songs to local drive, you could then upload the downloaded Spotify music to Serato DJ software as you usually do. Download and install Leawo Prof. DRM on your computer. The below steps would show you how to download Spotify songs. 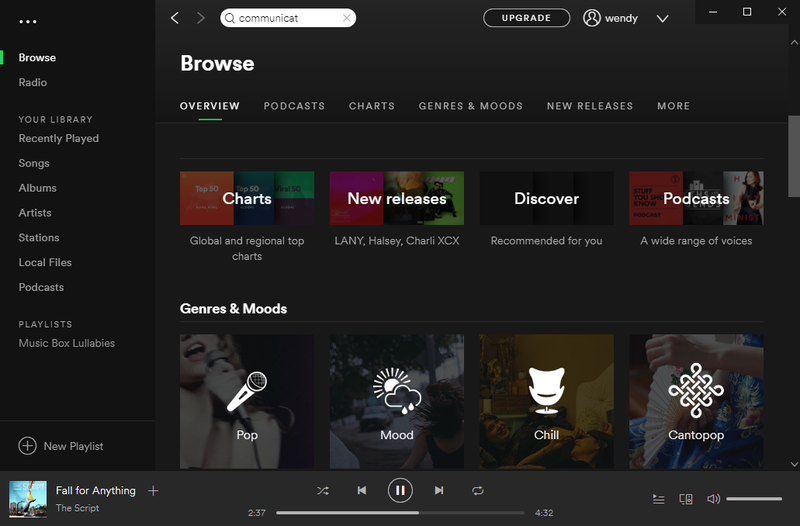 Note: You need to download and install Spotify app on your computer. Launch Leawo Prof. DRM. It will automatically launch Spotify app on your computer. then, directly drag and drop Spotify songs one by one or drag and drop the album/playlist at once to Prof. DRM for downloading. Or, you could open the “Converted” tab, click the Spotify icon and then click “Add Files” button to add Spotify playlist for downloading. Just copy and paste URL of Spotify playlist here and then click “OK” button to download Spotify music playlist. Click the pencil icon in each loaded Spotify music title to enter the “Edit” panel, where you could choose output format and adjust audio parameters including Channel, Sample Rate, and Bit rate. Click “Apply to All” button afterwards for time saving. On the main interface, set output directory to save the final downloaded Spotify songs in the bottom “Output” box. Press the blue button “Convert” on bottom right of the interface to start downloading Spotify songs. The Spotify DRM removal happens in the background, requiring no human interfere. Some people would like to use free tools to download Spotify songs for Serato DJ software. By far, there is no free Spotify song downloader desktop software to do this. However, you could turn to online free Spotify song downloader tools or addons. Spotiload is what we would like to recommend to you. 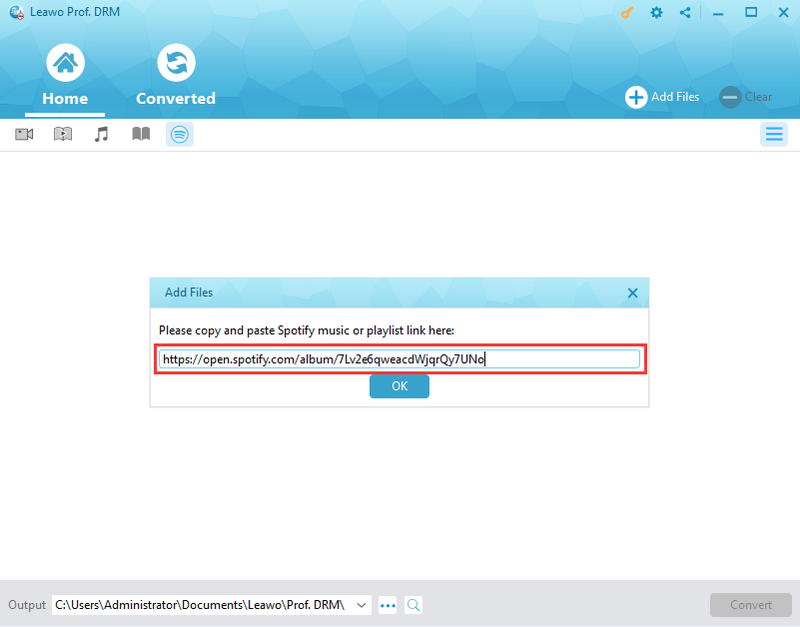 Spotiload, previous known as Spotify VK Downloader, can be used to convert Spotify to MP3 with ease. It is a Chrome addon tool that could help you download Spotify songs to MP3 files from your Spotify Web Player. Once you have installed this add-on to your Chrome browser, it would be extremely easy for you to download Spotify songs for free online. 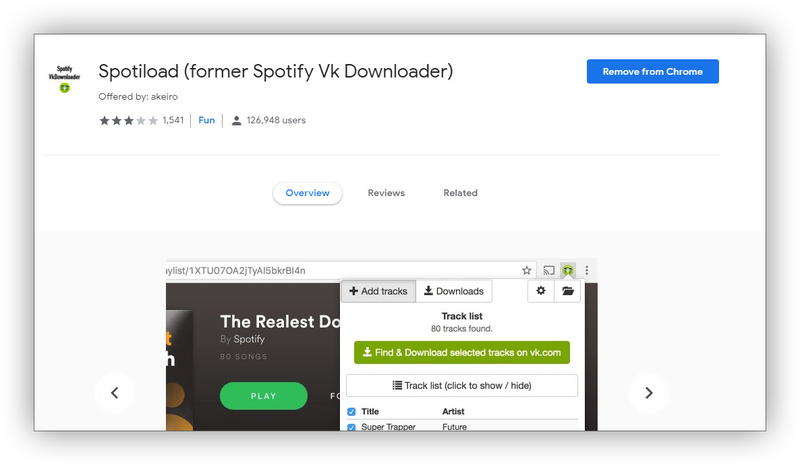 The below steps would briefly show you how to download Spotify songs for free online with this free online Spotify song downloader add-on on your Chrome browser. 1. Open your Chrome browser and search for Spotiload on the extension center. 2. Add Spotiload to your Chrome by clicking the “Add to Chrome” button. 3. Go to VK website and log in with an account. If you don’t have an account, you can sign up by using your Email or Facebook account. 4. Open Spotify on your web player. 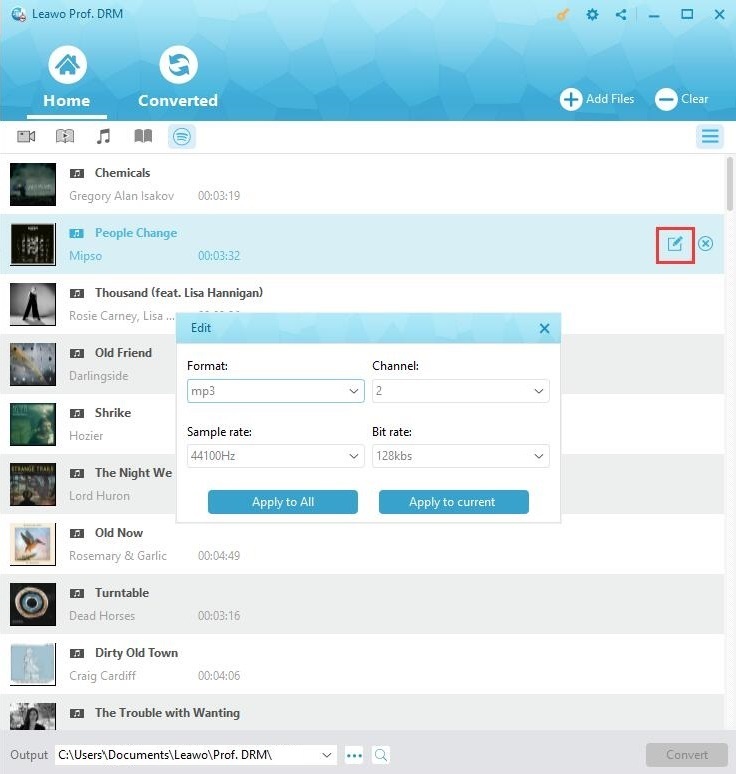 You can then see your playlist and find out the playlists you want to download. 5. Click the Spotiload(former Spotify VK Downloader) tool button to select a song and then click “Add Track option”. This free online Spotify downloader would start to download selected Spotify songs. Wait for the download tasks finished and after the download completes, you can transfer and enjoy the Spotify songs on Serato DJ software freely. Spotiload is totally free and extremely easy to use in downloading Spotify songs to MP3 files. However, you need to know that it supports MP3 output format only, can’t adjust audio parameters like bit rate, sample rate, etc., and downloads no more than 10 songs at a time. Meanwhile, since it downloads Spotify songs from VK.com, some songs on Spotify might not be found on vk.com. Therefore, not all Spotify songs could be downloaded by Spotiload. We would still like to recommend you another tool to download any Spotify songs directly from Spotify. 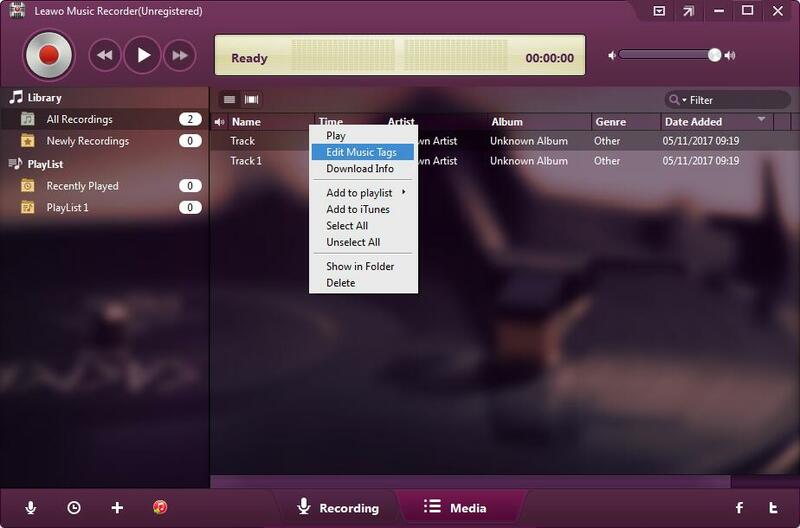 That’s Leawo Music Recorder, an easy-to-use audio recorder that could download Spotify songs to local drive in MP3 or WAV format via recording. 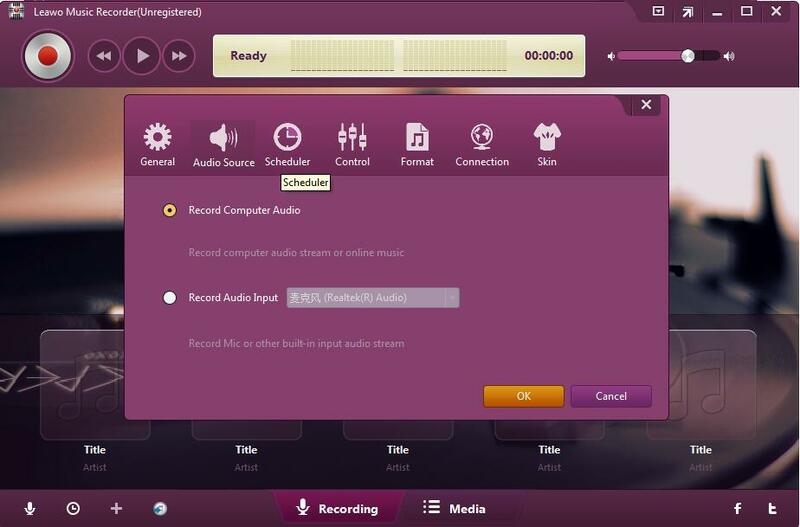 As a professional audio recording software tool, Leawo Music Recorder could record audio from 500+ sites like YouTube, Veoh, Spotify, Tidal, etc. Download and install Leawo Music Recorder. Follow the below steps to learn how to download Spotify songs with this professional audio recorder tool. 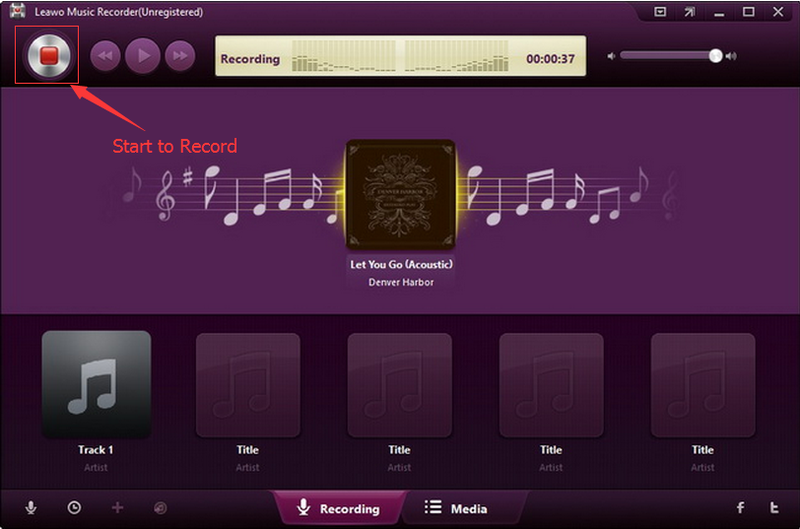 Launch Leawo Music Recorder, and then click on the tiny microphone icon on the bottom left corner to complete recording settings. Under the "General" tab, set output directory in the “Output” box. Under the “Audio Source” tab, choose “Record Computer Audio” option for Spotify song downloading. 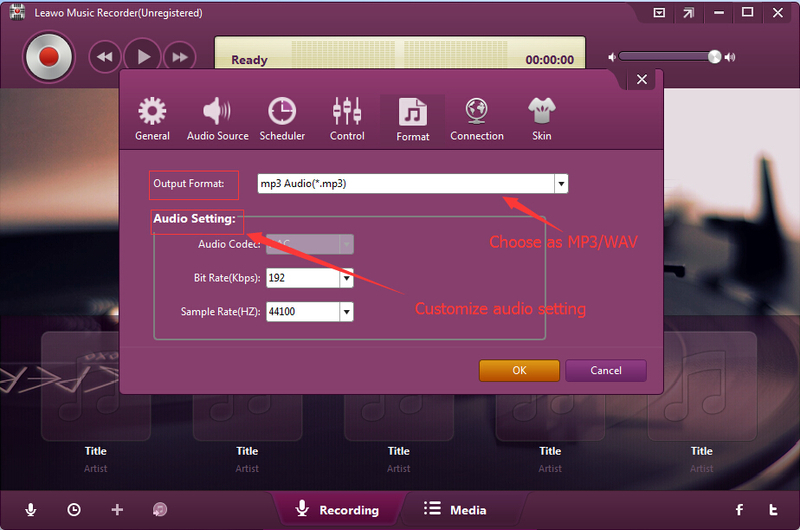 Thirdly, open the "Format" tab to choose output format from MP3 audio and WAV audio. Adjust the audio bit rate and sample rate upon personal needs. Go back to the main interface and then click the red "Start" button before you play Spotify songs on your computer. You will then see it recording Spotify songs. 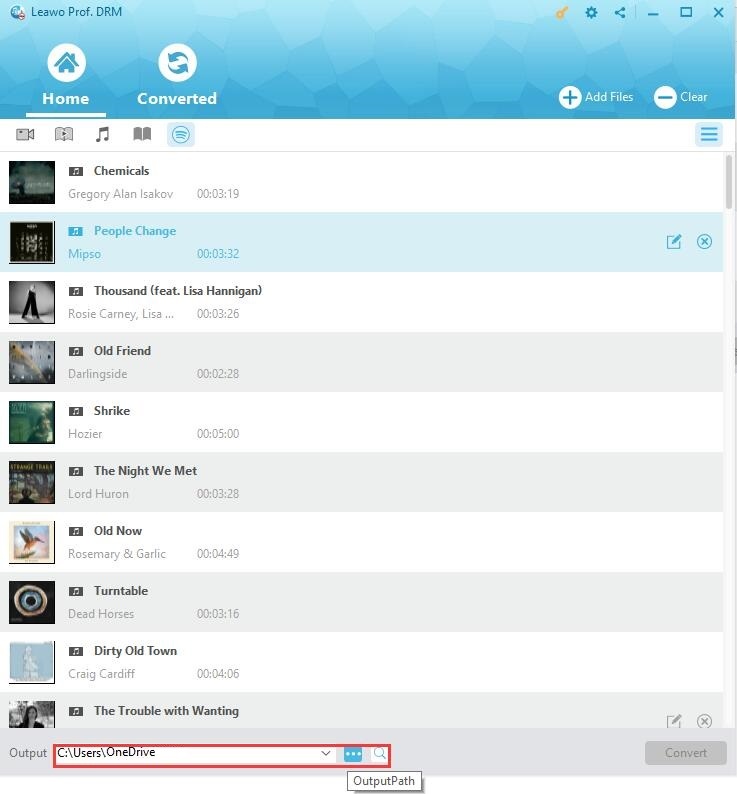 Leawo Music Recorder would automatically add music tags like artist, album, genre, cover, etc. to Spotify song recordings. Also, it allows you to manually edit these music tags. Just choose any recording and then right click it to select “Edit Music Tags” option. As a professional audio recorder, actually Leawo Music Recorder could perform as an excellent online radio recorder to help you record and download online audio with ease. For your convenience, we have made a comparison between Leawo Prof. DRM, Spotiload and Leawo Music Recorder to show you their differences. You could learn more features of these 3 Spotify song downloader tools. Adjust output audio parameters like bit rate, sample rate, etc. Obviously, Leawo Prof. DRM is a professional DRM removal and converter tool for iTunes video, music, audiobooks, Audible audiobooks, eBooks from Kindle, Kobo and Adobe Digital Edition, and Spotify music downloading. Spotiload is an exclusive Chrome add-on tool to download Spotify songs into MP3 file from vk.com, but it doesn’t guarantee all Spotify song downloadable. Leawo Music Recorder downloads Spotify songs via recording, therefore requires much longer time, but it adds song tags like artist, album, artwork, etc. Meanwhile, Leawo Music Recorder is a comprehensive audio recorder to record audio from 500+ sites, your computer local files and external sound. With Spotify songs downloaded, how to use Spotify with Serato DJ? Or, how to import Spotify music to Serato DJ software after downloading Spotify songs? You could actually complete this just as you usually do. The below steps are just for your reference. 1. Open your Serato DJ software. 2. Click on the FILES button to open the files panel. 3. Browse and choose the downloaded Spotify songs for uploading. 4. 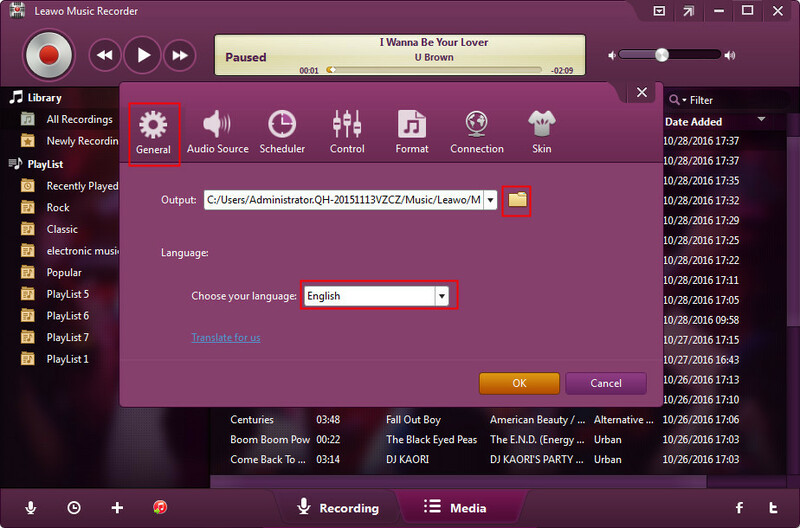 Once you have located your music, drag the folder or files you want to import onto the purple “All…” icon. This is located to the left of your screen at the top of the crates and playlist window. After that, your downloaded Spotify songs have been uploaded to Serato DJ software. If you wish to import all of your music, just drag your whole music folder onto this icon. This will import any compatible file contained in this master folder from your hard drive into the Serato DJ Pro Library.